Photos are a great way to express your femme self. 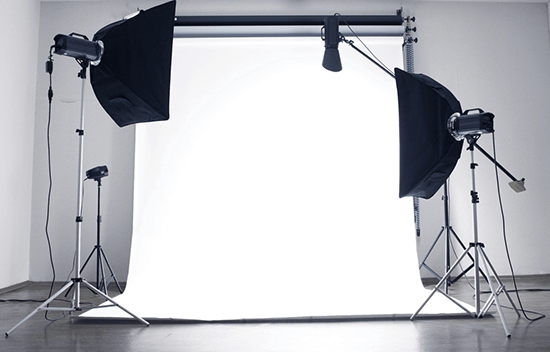 Whether you take selfies or go to a studio, beautiful images can be a real confidence booster. Fortunately, you don’t need supermodel genes to look great in photos. It’s all about skill – and avoiding some common mistakes. Read on to learn about 5 common photo posing mistakes… and how to fix them! 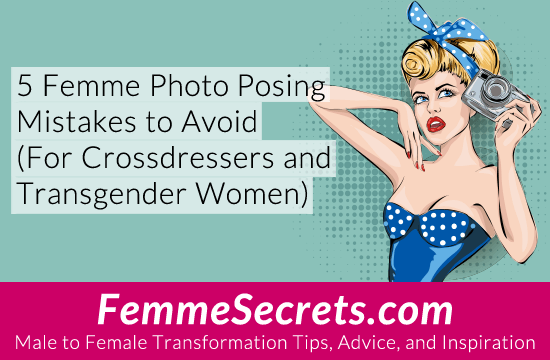 If you have broad shoulders (like most crossdressers and transgender women), you should angle your shoulders away from the camera to create a slimmer look. This downplays their width, creating more feminine-looking body proportions. There’s nothing worse than looking stiff and awkward in your photos. The secret to flattering, feminine photos is to create softness and curves with your body. Experiment with bending your arms and legs slightly, tilting your head, pushing a hip out, and relaxing your fingers. If you’re indoors, move away from overhead lights and try placing a couple lamps with soft lighting around you. If you’re outdoors, avoid shooting in strong midday sunlight. The best time of day is to shoot at dusk or dawn when the sun has a soft, diffused glow. If you take selfies, try a selfie light ring that attaches to your phone. 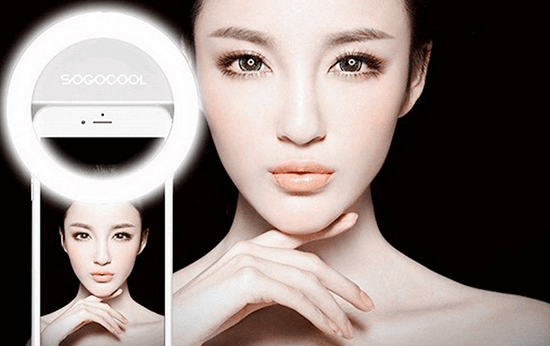 This allows you to take flattering photos in low light settings. Nobody wants to rock a double chin in their photos, so never pose with the camera below eye level. The lens should be at or above eye level to diminish a double chin and downplay a large jawline. As an extra bonus, this angle also makes your eyes look bigger. I love watching America’s Next Top Model because it shows that modeling is as much about mindset as it is about natural-born beauty. If you’re not feeling fabulous, it WILL show up in your photos. So how can you increase your confidence when taking photos? An easy trick is to imagine that you’re portraying a character (either real or imagined). For example: Gisele Bundchen, Cleopatra, or Sophia Loren. “Modeling” somebody else is a great way to channel their energy in photos. Let’s see your best shot! Taking great photos is only the first step. Sharing them with the world is where the real magic happens! On that note, I’d love to see the photos you’re most proud of. Please share your femme photos in the comments below! P.S. 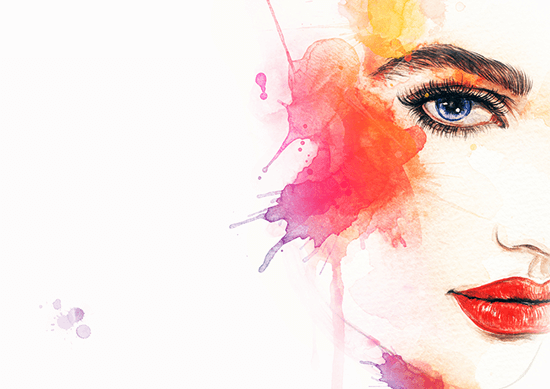 If you enjoyed this article, you’ll love my Stepping Out Secrets Program! 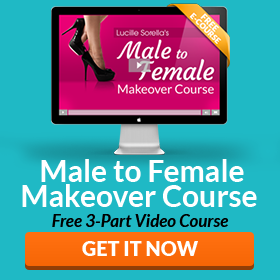 This training program covers the 6 “alluring arts” that must be mastered to present yourself as a woman. It even includes a bonus module on photo posing!